Though gardenia plants can be a bit tricky to grow, nothing compares to the intoxicating smell of their flowers. Most southern gardens have at least one gardenia growing in it. Depending on what gardenia cultivar you have, you gardenia can grow anywhere from 2 to 15 feet in height. They usually produce flowers from March through June. Providing you meet all the requirements of your gardenia plant, it will provide you with years of fragrant blooms and deep evergreen foliage. Select an area in your garden that receives full sun to partial sun throughout the day. 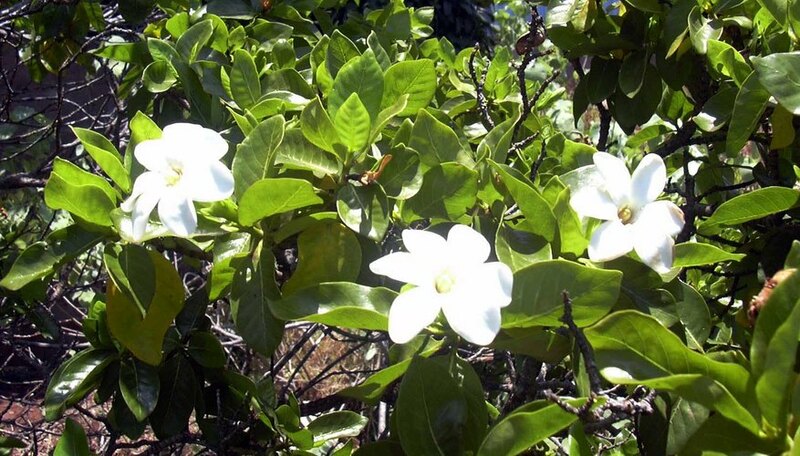 Gardenias are tropical plants and will benefit from sunlight during the day. Make sure the area is large enough to house your particular species of gardenia. Amend the soil with organic matter such as compost, manure or peat. Work the organic material into the area where you will be planting the gardenia. Make sure that the soil in the planting area drains well. Gardenia plants will not survive in soil that is constantly flooded. Plant the gardenia plant at the same height in the ground as it was in the container. Be careful not to damage the tender root ball when you remove the plant from its container. Water the gardenia three times per week for the first six weeks after it is planted. Depending on the weather conditions, water the gardenia on a regular basis such as one to two times each week. The amount of water the plant received will determine the quantity of blooms. Fertilize the gardenia three times per year with a high-quality fertilizer designed for acid-loving plants. If the leaves become yellow, give the plant a dose of iron. This is a common problem with gardenias. Prune the gardenia to keep it shaped up after the blooming season is over. Trim the bush back by no more than one third. Do not prune the gardenia bush into the fall as you want new foliage to have developed on the plant before winter.